From here you can download documents describing user applications of V++ and VSpec software in a variety of specialties. A number of Digital Optics customers have received recognition in the Advanced Imaging magazine "Solutions of the Year" awards for their innovative use of imaging, supported by V++ software. The award-winning application in the 2004 awards was the development of the SeDDaRA deconvolution algorithm and its application to deblurring the imagery produced by NASA's Wilkinson Microwave Anisotropy Probe. SeDDaRA was developed and implemented using V++ and has been reported in journals such as Applied Optics and Optics Letters. Click here to download a copy of the SeDDaRA award citation in Advanced Imaging magazine. You can learn more about SeDDaRA and enquire about licensing from Quarktet. In the 2003 awards, V++ users were honored for a multispectral imaging study of the Archimedes Palimpsest, an important historical manuscript from ancient Greece. Click here to download a copy of the Archimedes Palimpsest award citation in Advanced Imaging magazine. 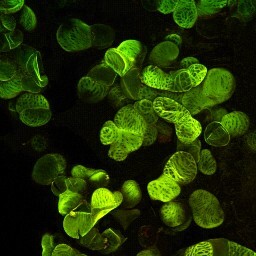 New Zealand, has developed a sophisticated 3D confocal microscopy system using V++ and VPascal. Click here to download a PDF document (2.3MB) containing sample images, 3D projections and movies. If you're interested in using Lloyd's 3DV code then please contact Digital Optics and we'll forward your details to him. V++ is used extensively in forensic applications by Police departments and law enforcement laboratories all over the world. 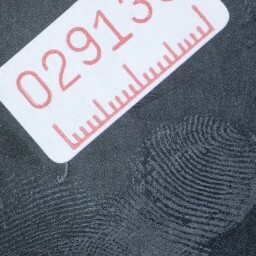 Click here to download a document (5.0MB) outlining a variety of forensic imaging techniques in fingerprinting, document imaging, and biological sample analysis. Sample image courtesy of Bruce Comber, Australian Federal Police. Digital Optics™, V++™, VPascal™, VAutomation™, VSpec™,, CameraBar™ and VideoBar™ are trademarks of Digital Optics Limited.